Hello everyone. I'm back with more reviews. I have time over the weekend because I am nursing a cold and have been housebound the whole week. For the longest time, I have been eyeing Revlon's Ulatra HD Matte lipsticks in the counter but it was only two weeks ago that I was able to purchase because they were 50% off (plus additional discounts from SM's SMAC sale). I bought two shades, both reds: 660 HD Romance and 635 HD Passion. I'll be reviewing the shade Romance for today. 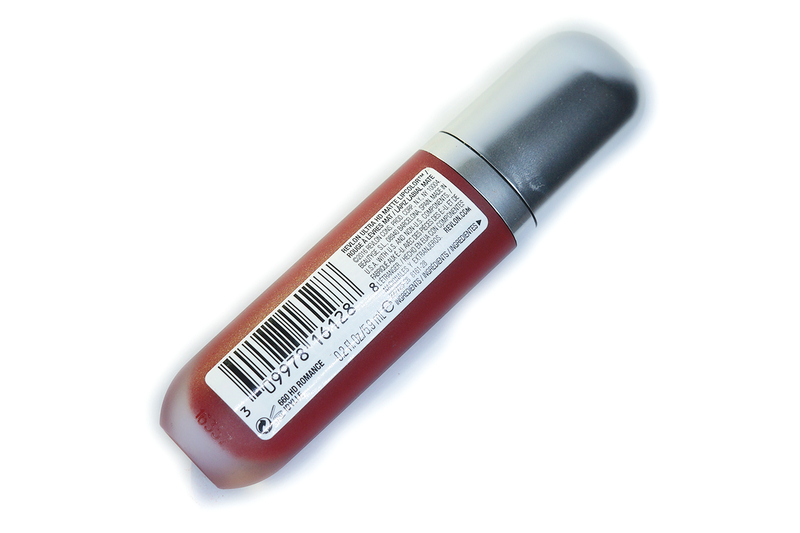 This lipstick comes in a substantial transparent glass and silver packaging with a wand applicator. 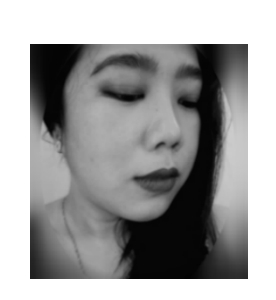 It's very convenient since you can see the color of the lipstick at first glance. I had some issues with the sponge applicator though since it was a task getting a precise application. Also, if you have a lot of product on the wand, it tended to bleed. 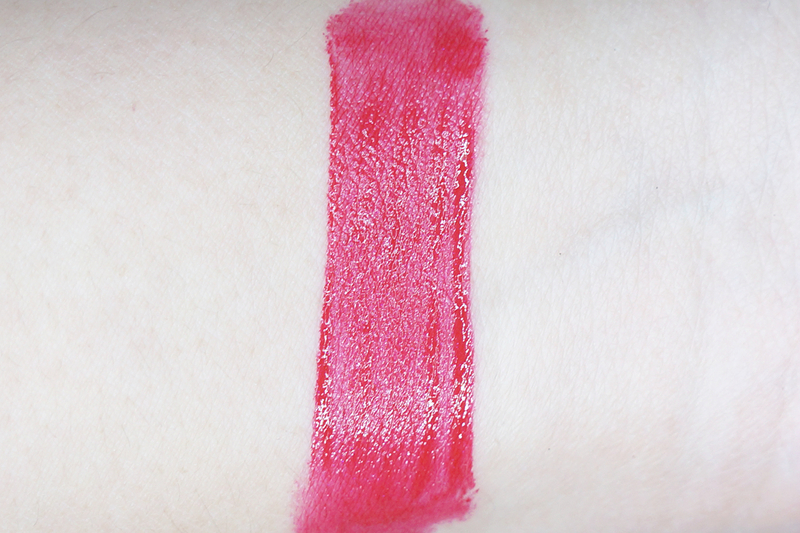 660 HD Romance can be described a medium true red with cool undertones and a semi-matte finish. The color is a bright classic red which would suit most (if not all) skin tones. 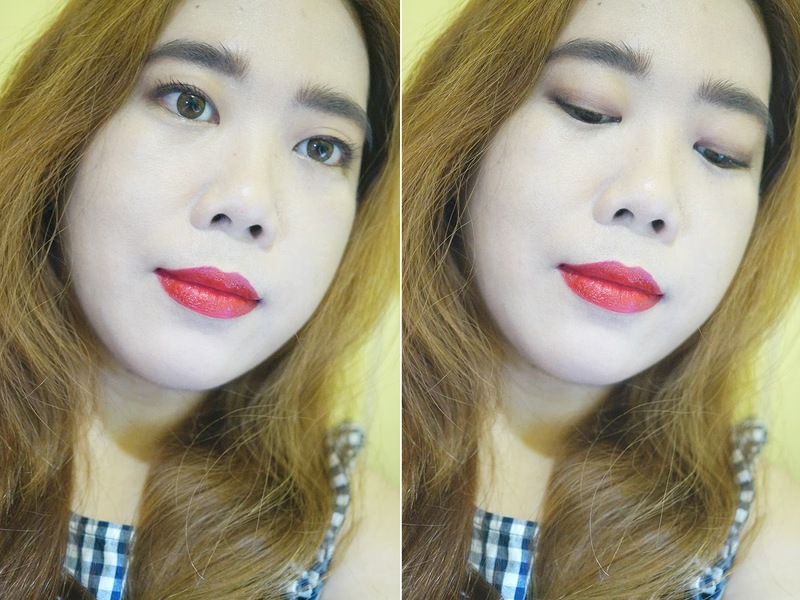 The shade looks a deeper red on me, which is great because it's flattering against my yellow undertones. You can't really go wrong with this universal color. It is appropriate for any occasion. 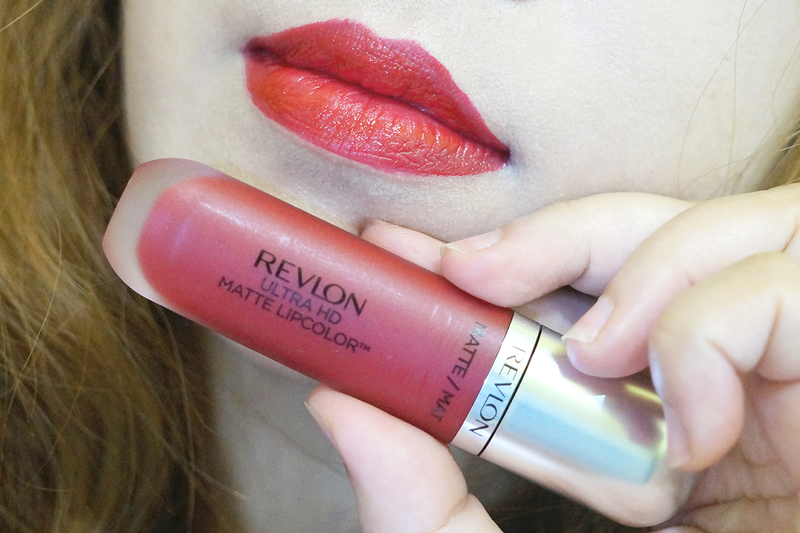 Unlike most liquid formulas, this lipstick did not completely dry down to a flat matte finish. The lipstick's pigmentation is great and you get full and opaque coverage with a single swipe. One thing to note though is to remember to apply in thin layers. If you want to build up the color, you have to wait for each layer to dry a bit before applying another one. This way, you avoid a goopy mess, streaking and bleeding. 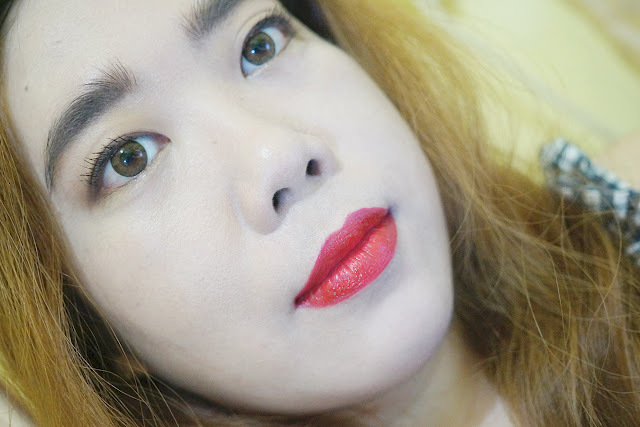 Because of the liquid and thin formula, you can also use this as a lip tint or stain since you can apply a small amount and just spread it across your lips for a just bitten look. Texture is creamy and velvety. Consistency is balmy which, as mentioned before, does not dry down to a flat matte. 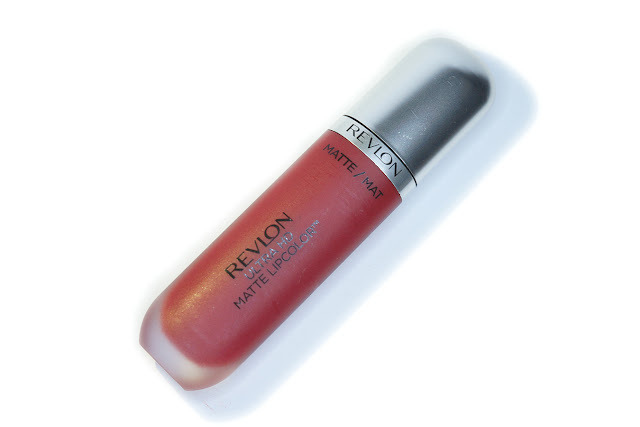 For me, this is a pro since it doesn't dry out my lips and it feels very light and comfortable on. Application is easy and smooth, it didn't settle into lines nor bled out. 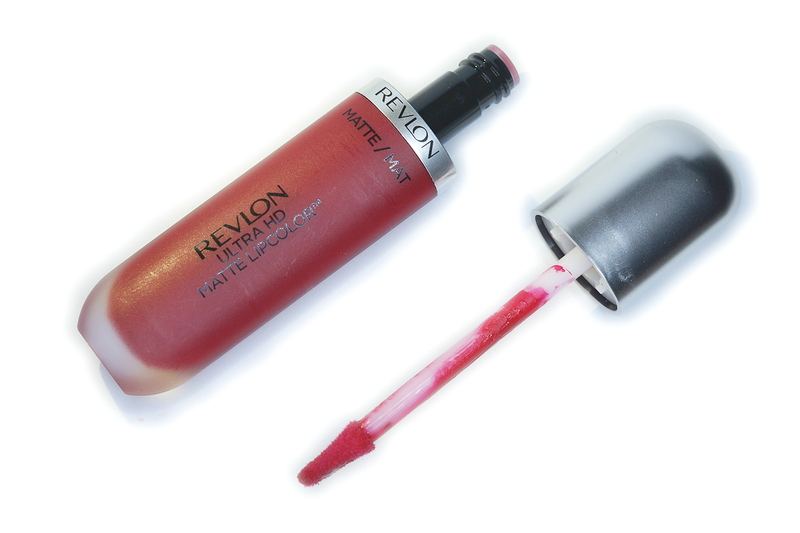 On the downside, because of the creamier finish, the lipstick transferred a lot. It does have enough pigment for it to stay on even with lots of transfer. With that said, the full color remained for up to four hours with minimal snacking. I still get a smooth and patch-free finish with reapplication so it was not an issue. It faded evenly and left a pinky stain. I noticed a slight sweet vanilla fragrance which didn't bother me (but I could do without) since it faded after a while.